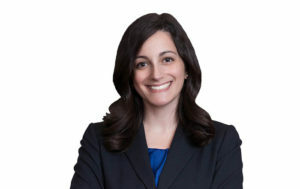 A common defense to claims of unfair or deceptive conduct brought under the Massachusetts Consumer Protection Act, Chapter 93A, is that the actions about which the plaintiff complains actually are exempt from liability as “permitted practices.” A recent Massachusetts product labeling case involving adult beverages reveals a few tips for attorneys seeking to invoke this exemption, or counteract it. In O’Hara v. Diageo-Guinness, USA, Inc., 306 F. Supp. 3d 441 (March 29, 2018), the plaintiff sued the American manufacturers, marketers, packagers, and distributors of Guinness Extra Stout beer, alleging that his decision to purchase this beer was based in part on the defendants’ false and deceptive claims that it was brewed in Ireland. The beer bottles and cartons at issue included the phrases “Imported Guinness Extra Stout,” “Traditionally Brewed,” and “St. James’s Gate Dublin.” The plaintiff also alleged that the defendants’ website stated that all Guinness sold in the United Kingdom, Canada, and North America was brewed at the St. James’s Gate Brewery in Dublin. As a result of this advertising, the plaintiff alleged, he paid more for the beer than he would have if the defendants had disclosed the beer’s true country of origin, Canada. The beer’s Canadian roots were revealed in small lettering printed on the side of each bottle, but the plaintiff nonetheless alleged that the beer’s labeling and website advertising constituted misrepresentations and false advertising, and therefore violated Chapter 93A. The plaintiff also brought claims of unjust enrichment and for injunctive and declaratory relief. The defendants moved to dismiss the Complaint, relying in part on the “permitted practices” exemption of Chapter 93A, Section 3. Section 3 exempts a defendant from liability for conduct that is “otherwise permitted” under another statute. Affirmative authorization of the conduct is critically important to the successful invocation of Section 3. “[R]elated or even overlapping regulatory schemes” concerning the conduct are not sufficient to invoke the exemption’s protection. See, e.g., Commonwealth v. Fremont Inv. & Loan, 452 Mass. 733, 750 (2008). The defendants pointed out that they had received affirmative approval of the bottle and carton labeling from the federal Alcohol and Tobacco Tax and Trade Bureau (“TTB”), which is authorized to enforce the Federal Alcohol Administration Act, codified at 27 U.S.C. §§ 201-219. The defendants also pointed out that the federal regulations promulgated under the Act to govern label approval require every beer bottle to show the beer’s place of production, and prohibit labels from including any false or inaccurate information. See 27 C.F.R. §§ 7.23(b), 7.29(a)(1), 25.142(a). The defendants concluded by arguing that because the labeling at issue had been expressly approved, there could be no Chapter 93A liability. 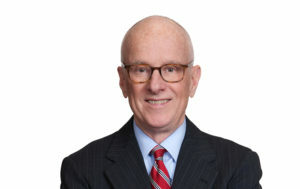 United States District Court Judge Mark Wolf agreed that the permitted practices exemption applied. In a twenty-five page opinion, Judge Wolf ruled that the plaintiff’s claims as to the bottle and carton labeling were barred as a Section 3 “permitted practice” because their contents had been specifically authorized by the TTB. However, the Judge declined to extend this ruling to the complained-of website because the TTB had no authority to approve or disapprove of website contents. 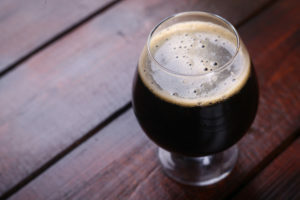 The Judge further ruled that the TTB’s control over a beer’s origin designation demonstrated a recognition that misrepresentations about origin can indeed influence a consumer’s purchasing decisions. In other words, the plaintiff had succeeded in establishing the likelihood that he had incurred economic harm by “overpaying” for beer that had been brewed in Canada, rather than in Ireland. O’Hara provides several lessons to practitioners on both sides of the “v.” First, counsel should remember that Section 3 “permission” for one practice does not necessarily mean permission for all arguably related practices. Plaintiff’s counsel in O’Hara avoided dismissal of all of his Chapter 93A claims by including claims about misleading statements on the defendants’ beer labels and cartons in addition to claims about the website. When seeking to invoke Section 3, defendants should ensure that each and every practice sought to be exempted has received specific authorization from the appropriate authorities. Second, practitioners should be aware that Judge Wolf’s reasoning in O’Hara is not followed in all jurisdictions. 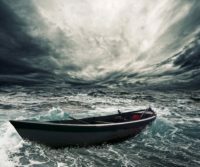 At least one other court has concluded that TTB label approval may not provide “safe harbor” under a state consumer protection law because the approval does not carry the “force of [federal] law” that is necessary to preempt state law. See Hoffman v. Fifth Generation, Inc., 2015 WL 5440330, at *7 (S.D. Cal. 2015). Finally, Judge Wolf dismissed the plaintiff’s claims for injunctive and declaratory relief because he concluded that these claims were duplicative of other claims or not legally grounded. This is another reminder to defense counsel to scrutinize all claims when fashioning a Chapter 93A challenge, and a reminder to plaintiff’s counsel not to overplead his or her case. As of this writing, the case remains pending, with the plaintiff requesting that Judge Wolf reconsider his rulings. Such reconsideration appears unlikely, but even if it is granted, the viability of the “permitted practices” exemption remains intact.